One of the most satisfying ways to get involved with your church is by lending a hand – through service on Sundays or throughout the week. Our dedicated Sunday volunteers ensure that Sunday morning services are friendly and accessible. Most Sunday volunteers commit to one Sunday a month, but we also have options for occasional or substitute volunteers. Contact our Church Administrator at admin@uuabq.org for more information. Sunday Openers – Open the Sanctuary, prepare the space for worship, and close up after services. Ushers –Distribute the Order of Service, assist with seating, and take the offering. 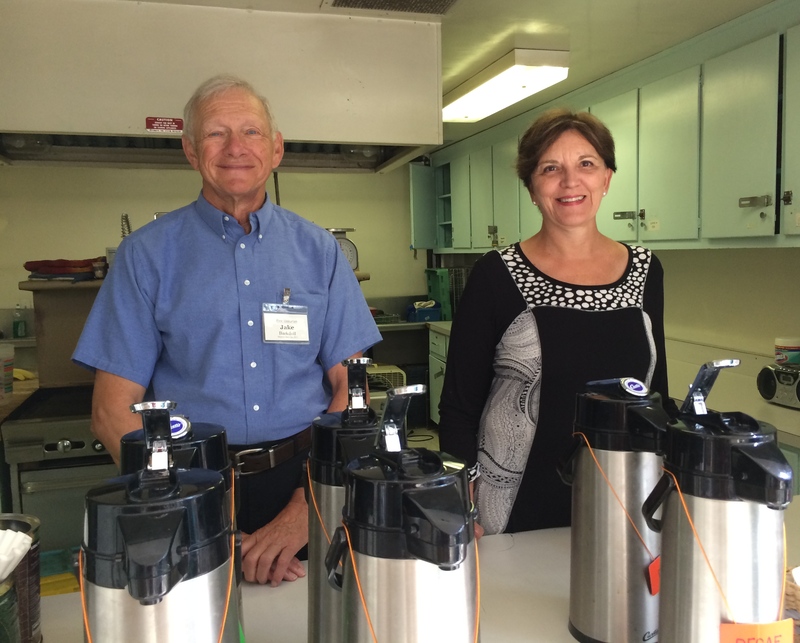 Coffee Crew – Prepare and serve coffee and other refreshments for the after-service social time. Flower Providers- Provide Sunday flower arrangements. Call the church office if you’d like to schedule a date to bring flowers or another decoration. Forum Hosts – Set up the Wesson Room for the Sunday forum and greet the guest speaker. Membership Table –Staff the membership table after each service to guide those considering joining our congregation, and help celebrate new members. Sound System Crew – Set up and monitor the sound system for Sunday services and other church events. Video Crew –Video-record Sunday services. Welcome Table Team –Provide nametags, information, and a warm welcome to church visitors. Office Volunteers – Help the office staff by answering phones and other tasks. Update the three-sided corner sign (on Comanche and Carlisle) announcing our upcoming sermons and speakers. Landscape Committee – Our buildings are surrounded by acres of landscaped grounds, including a certified Wildlife Habitat, designed to minimize use of water and emphasize native plants. The Landscape Committee organizes workdays throughout the year to maintain and improve the grounds and habitat.